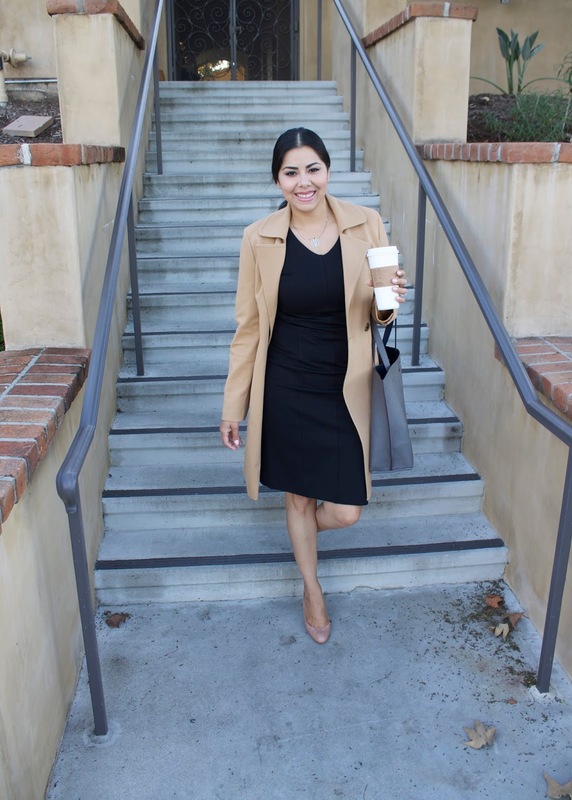 The title alone may sound boring but professional attire does not have to be! Professional attire and/or that job interview outfit may vary depending on what industry you are in, but if you are like me, working in a professional environment, conservative is key. Again, conservative doesn't have to be boring, instead it can be classy and timeless. This Claire dress from Cabi is quintessential class, plus it is so comfortable for those long days of meetings or sitting at the desk. You can layer a blazer or cardigan inside the office (for those of you who experience the cold blasts of AC like I do) or a coat like this Casablanca Trench from Cabi when you are headed out. Obvi, a big cup of coffee and flats on standby are totally necessary! And also, don't forget to smile! Smiling is contagious and sometimes even if the day is stressful a smile from a coworker makes me feel better! love your camel coat so much! Thank you!! It's from www.cabionline.com!! Highly recommend it! So beautiful, I love the coat! LOVE this whole outfit! So professional but still chic!! 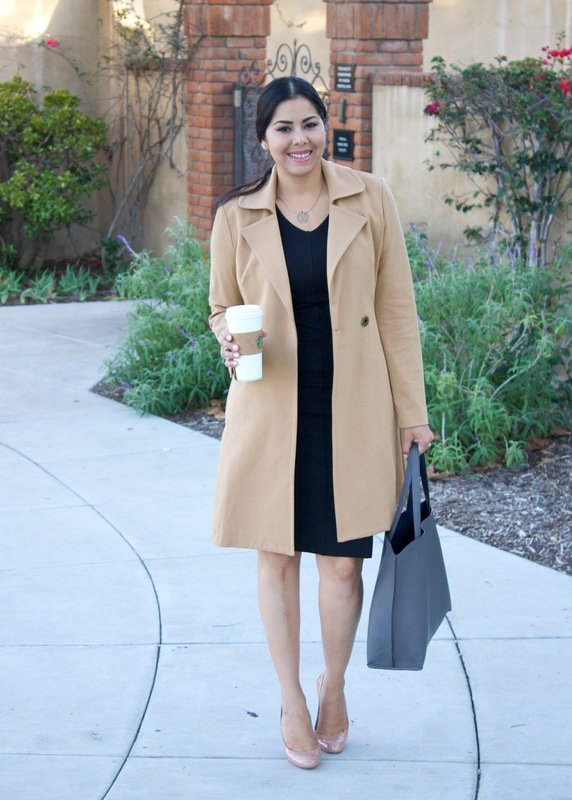 As a "office fashion" fashion blogger, I love seeing how other people keep work wear creative! !